Moto Guzzi’s latest variant of its delectable V7 Classic – the V7 Racer – looks set to be its best yet thanks to a host of cosmetic enhancements and quality detail touches. But is it good enough to tempt buyers away from the café racer class king – the Triumph Thruxton? 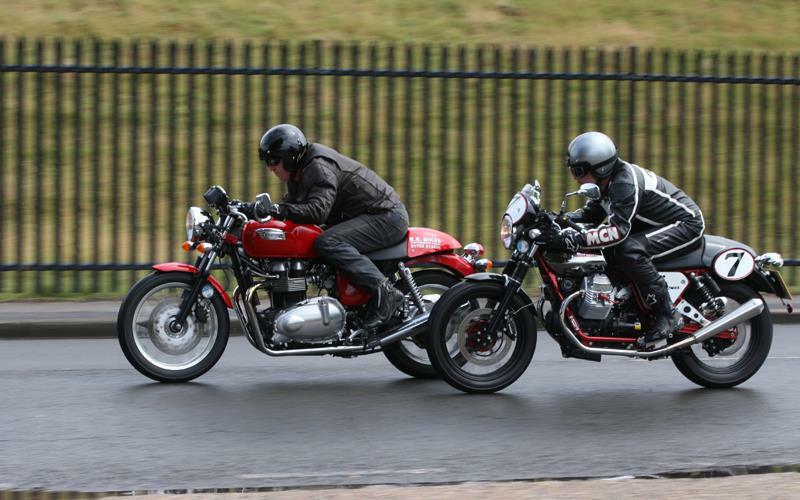 To find out we decided to pit the two bikes against each other in London – home of The Ace Café and all things café racer – and while the Thruxton continues to impress for its manners and sheer rideability, the Guzzi managed to divide our testers’ opinions. To find out which came out on top see Trev’s full test in next week’s Motorcycle News.